VANKLEEK HILL, ON – This Wednesday, April 21st, Beau’s All Natural Brewing will be welcoming Lodewijk Swinkels, brewmaster of De Koningshoeven Brewery in The Netherlands, who will join Beau’s brewmaster Matt O’Hara to craft a unique one-off beer. This rare event will mark the first time that a Canadian brewery has collaborated with one of the world’s seven Trappist breweries. 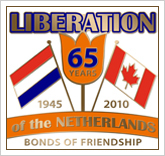 The partnership was arranged by the Dutch Embassy in Ottawa to marks the 65th anniversary of the Liberation of the Netherlands. The resulting beer will be officially launched during royal visit of Princess Margriet to Ottawa in May, and will be available exclusively at the House of Orange festival of Dutch and Canadian creative culture, taking place at Mercury Lounge in Ottawa on May 10th to 23rd.